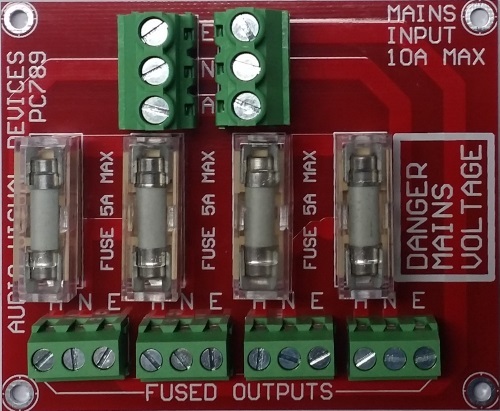 I now have 4-way mains fuse / distro boards in the da-Share shop. i will be getting one of these for sure. Well, I was going to ask some questions, but clicked on the "available for sale" link and all the answers were there.